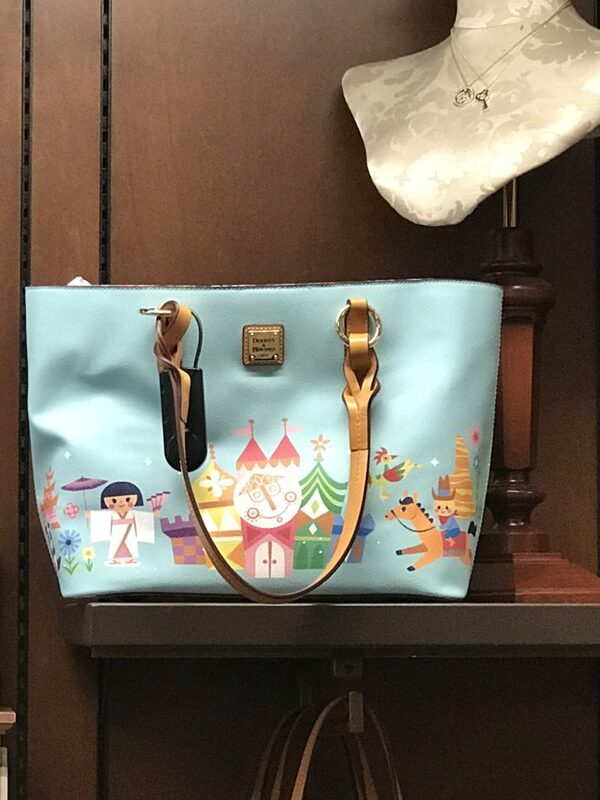 I absolutely love the new “it’s a small world” Dooney & Bourke. The color is amazing and the characters are super fun. 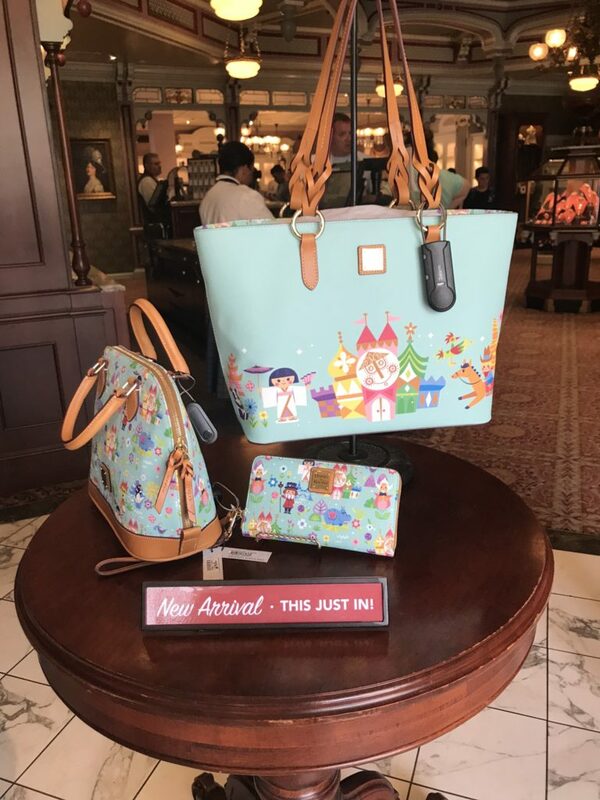 The clock face and hippo are 2 of my favorite characters on the ride, so it was exciting to see them on the new merchandise. I have seen these at multiple locations and hopefully if you’re shopping for any one of these you will be able to find them. 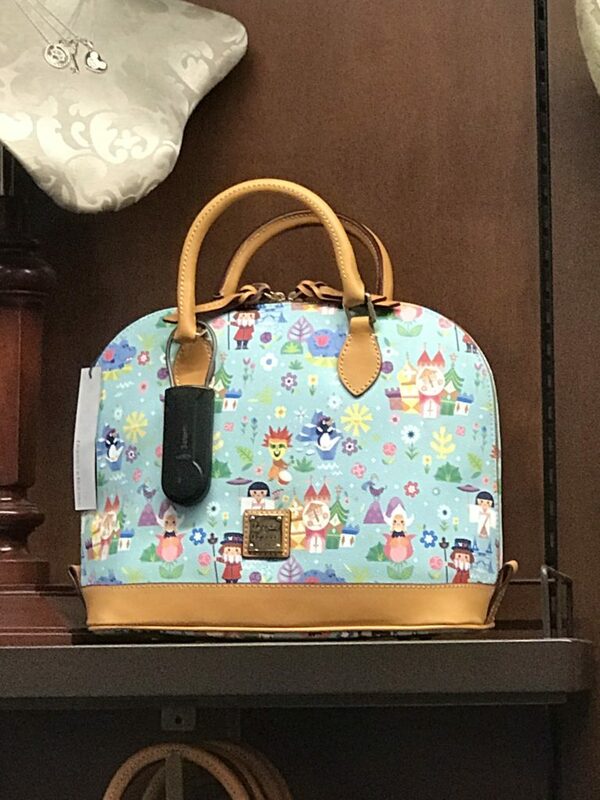 Remember that every Dooney & Bourke looks a little different and if you don’t see the characters you want, ask to see the other items and find what fits you. A friend taught me this when she took me to Club 33. It has stuck with me and now I’m very careful before picking a new purse or wallet. Happy Shopping. 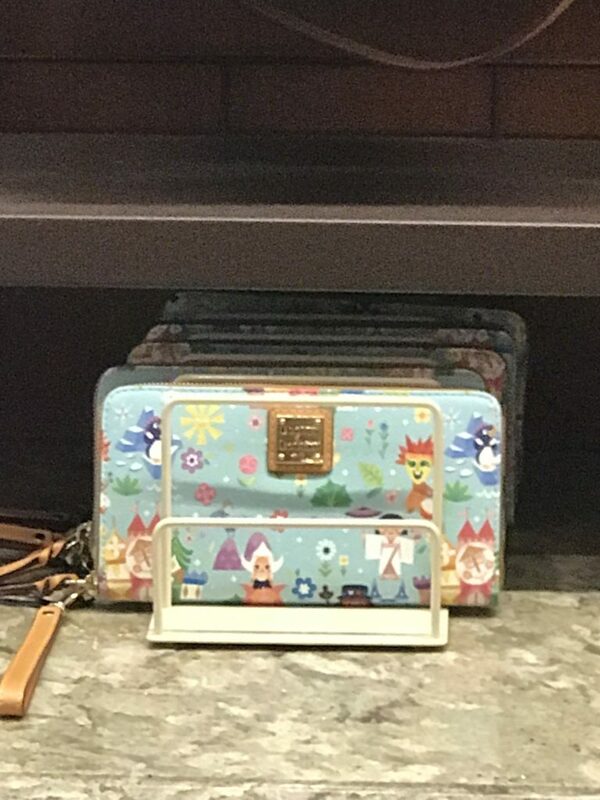 This wallet had the perfect markings so I had to give it a new home. Let me know if you’re looking for something specific and I will do what I can to locate it and let you know where you can find it.